North Jakarta, aside from the heavy-loaded traffic to and fro the biggest sea port of Indonesia, there is a hidden cultural heritage. Rumah Si Pitung (House of Pitung) is a big residence that was once owned by the richest fish merchant in Marunda. Pitung himself is considered as a local hero, the Betawi version of Robin Hood who lived during 1800s. Some people said this two-storey house was where Pitung hid during his escape from the Dutch troops since he and the host were friends. But others argued Pitung actually robbed the rich man. Even the death of 28-year-old Pitung is also still a mystery, either by shot or mutilated after his hair being cut (it is believed you need to do this to kill a man who has magic, and yes, Pitung was an expert of martial art). 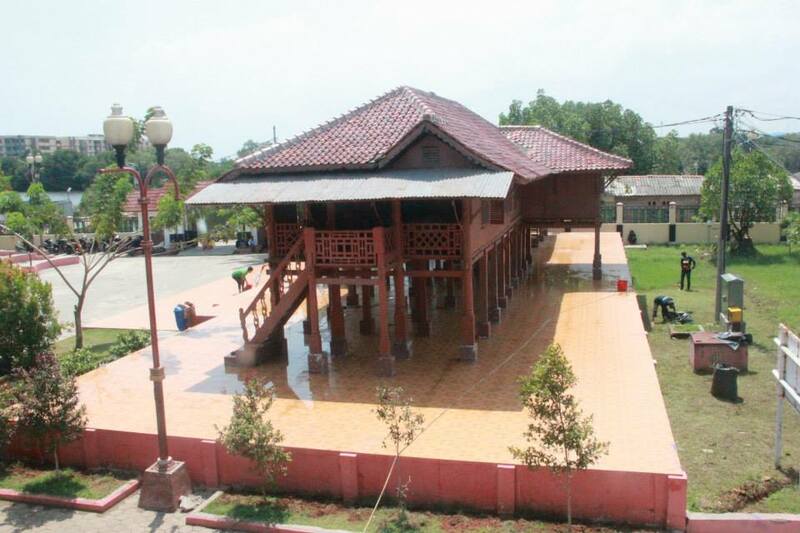 In 1972, Rumah si Pitung was bought by the local government and restored in 2010. Now people can still go up and down the stairs trying to relive Pitung’s life in each room of the stilt house. On weekends more visitors come to have a study trip or get invited to a party that was sometimes held there.